304 Grade versus 316 Grade Mesh and Wire – which should I use? There are several hundred grades of stainless with differing chemical compositions, but only about ten are in common use. Most products in our range of stainless steel wire and stainless steel mesh products are offered in two grades – 304 and 316. The choice of grade is determined by the application and environment. Both grades are termed “18-8” stainless steel, as they have approximately 18% chromium and 8% nickel in their composition. 18-8 stainless steels are non-magnetic and cannot be hardened by heat treatment. Carbon 0.08% max. 0.08% max. Silicon 1.0% max. 1.0% max. Manganese 2.0% max. 2.0% max. Phosphorus 0.045% max. 0.045% max. Sulphur 0.03% max. 0.03% max. Nitrogen 0.1% max. 0.1% max. Stainless steels owe their corrosion resistance to a thin chromium oxide film on the surface, but other elements, such as molybdenum and nitrogen, can improve corrosion resistance. The higher the PRE, which, in practice, ranges from 10.5 to over 40, the higher the corrosion resistance. 304 grade stainless steel has a PRE of about 18 while for 316 grade the PRE is approximately 24. So, which grade of stainless steel should I select? 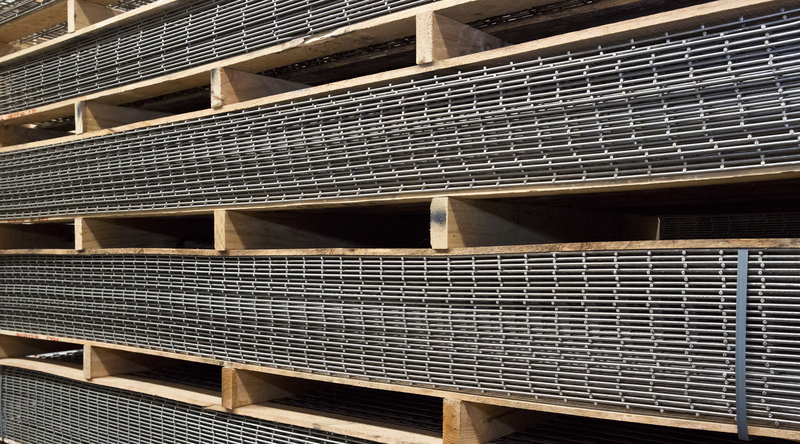 304 grade is used in more than 50% of applications that specify a stainless steel. It resists most oxidising acids and is slightly stronger and more wear resistant than 316 grade. This entry was posted in Architecture, Care and Maintenance, Coastal Application, Landscaping, Louvre Mesh, Stainless Mesh, Stainless Steel, Stainless Steel Mesh Garden and tagged stainless mesh, stainless steel welded mesh, stainless steel woven wire mesh by stainlesssteelwireandmesh. Bookmark the permalink.